This is the seventh post of ” The Us Trip” series. To read other posts in this series, click here. Solvang is a city in Santa Barbara County, California. This relatively small city has very unique architecture, as it resembles a taste of Denmark. Yep, that Denmark! The city even has a copy of the famous Little Mermaid Statue , very similar to the original one in Copenhagen (I’ve never been to Copenhagen, but that’s what they say.. hahaha). 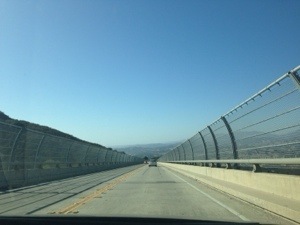 On my way to Solvang! 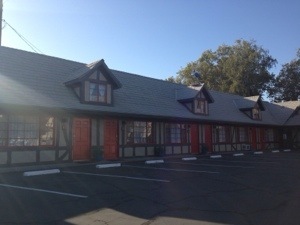 In Solvang, we stayed in Hamlet Inn which is situated in (what I think is) the main road of Solvang, Mission Dr. I love this hotel! Although the building looks rather traditional from the outside, but our room has a very sleek, minimalist Scandinavian style design. 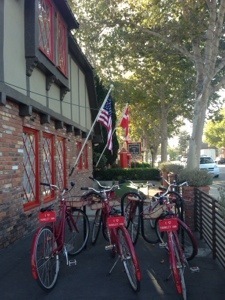 Plus, they provide free bike rental which is another thing to do when you’re in Solvang, it’s really nice to bike around town! After checking in, spent some time exploring the neighborhood around the hotel. I think where we stayed is the tourist area since there are a lot of small shops and cafes, with very unique European architecture. Trust me I did not feel like I was in the US at all. We even saw a windmill! How cool is that ? As an afternoon snack, we tried a local delicacy which is called Aebleskiver. Well again, it is actually a Danish delicacy but since Solvang is sort of a mirror city.. it’s a must try when you’re in town. 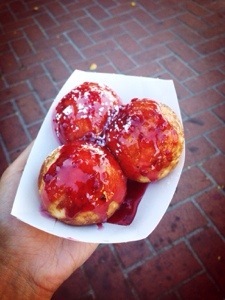 It’s like small doughnut balls with strawberry sauce and sugar.. very sweet but tasty! (Remember, I’m a sweet tooth so anything sweet goes :D) I actually forgot which shop I bought it from, but no worries there are a lot of shops which sell this dessert (some say Danish people like to eat it for breakfast too!).. 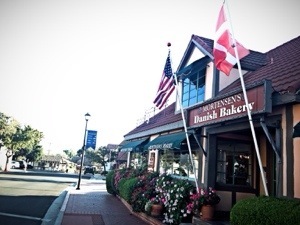 so it’s easy to find in Solvang. 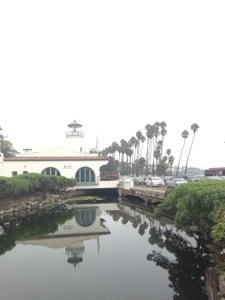 The next day, we had breakfast in Paula’s Pancake House just across the road and then left for Santa Barbara. 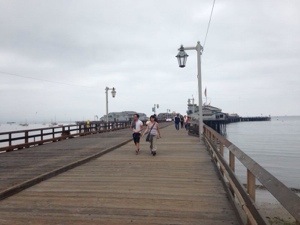 Santa Barbara I think is a more popular destination, but to me it’s another beach-front city so I was more interested to see Solvang. 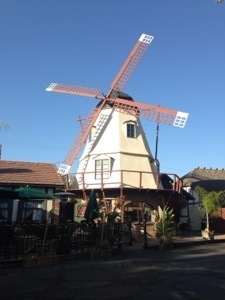 Though we only spent a night in Solvang, it was really enjoyable since the town is indeed very pretty! It’s rather quiet so to me a night is enough to explore..